Alcatel's new Pop 2 devices are bringing LTE connectivity in multiple form factors and at a reasonable price. Announced at CES 2015, the four new members of the Pop family start with a 4" Android smartphone and scale to a 10" tablet with a dedicated keyboard dock. All three Pop 2 phones are powered by a Snapdragon 410 chipset with a quad-core 64-bit processor. The chipset also provide Cat. 4 LTE – that's 150Mbps downlink speed. The 5" model is the flagship of the line with a 1080p IPS screen and Android Lollipop. There's an 8MP camera on the back and a 2MP one on the front. The phone packs a 2,500mAh battery and will come in Volcano Black and Full White. Next up is the 4.5" model, which is much more colorful than its bigger counterpart. It has a wide variety of exchangeable back covers (we count 9 colors) and two color options for the front (black or white). 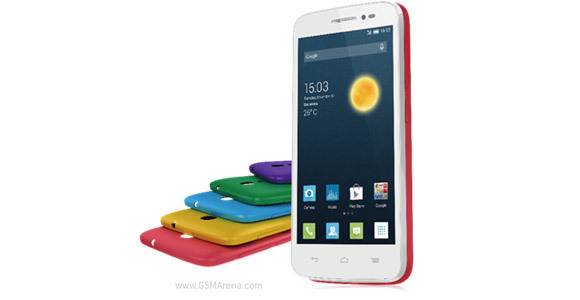 Anyway, the Alcatel One Touch Pop 2 4.5" is a dual-SIM phone that runs an older version of Android, 4.4 KitKat. The screen also takes a step back – the resolution is 480 x 854px as does the camera also, a 5MP shooter with LED flash. The smallest of the bunch is the Alcatel One Touch Pop 2 4" model, which also has exchangeable back covers. Similarities continue with nearly the same screen resolution (480 x 800px) and a 5MP camera. 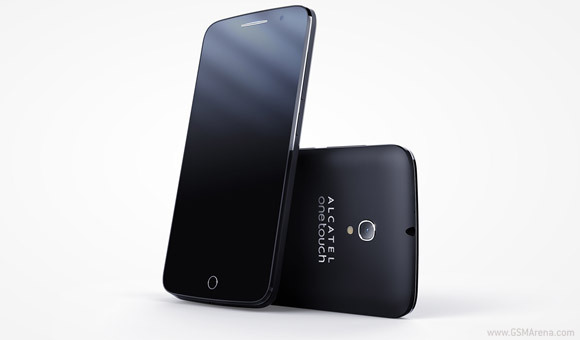 The Alcatel One Touch Pop 10 is the company's new LTE-enabled tablet. It has a 10" IPS screen and Alcatel claims it's the thinnest and lightest of its size. At 7.9mm it's certainly not the thinnest, but the 400g of weight actually supports the claim for 10" tablets. 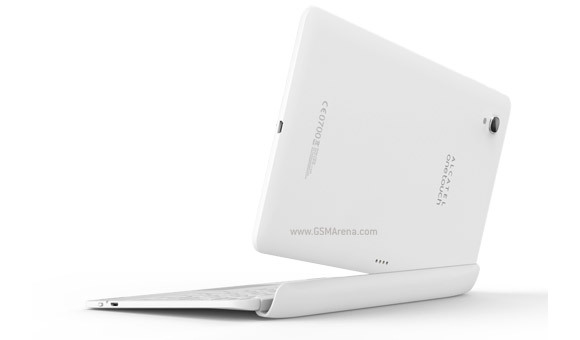 It has a bespoke keyboard dock that turns it into a mini laptop. The keyboard has a mini trackpad too. The One Touch Pop 10 tablet is powered by a quad-core processor in a MediaTek instead of Intel and has only 8GB of built-in storage. There's a 5MP camera on the back and a 2MP one on the front. You must be talking about another brand. My Alcatel products are still with me working fine after more thwn a year. Now that's quite awesome piece of junk. My Pop 9 phone is amazing. Looking forward to buy the Pop 10 tablet.